First off. I would like to thank baumsg for letting me steal his 2006 Mark Martin 2006 car from him with written permission. Now other credit goes out to MRD,Tucknut,yahoo,And Magics Render Shop for another nice render! COMMENTS? The people that complain are just the ones that don't appreciate great car artwork..keep doing it. He only said he borrowed the 2006 Martin scheme. So i guess he painted the ARMY portion of the paint scheme himself. Takes the time to do it....its a 3 minute job, lol. 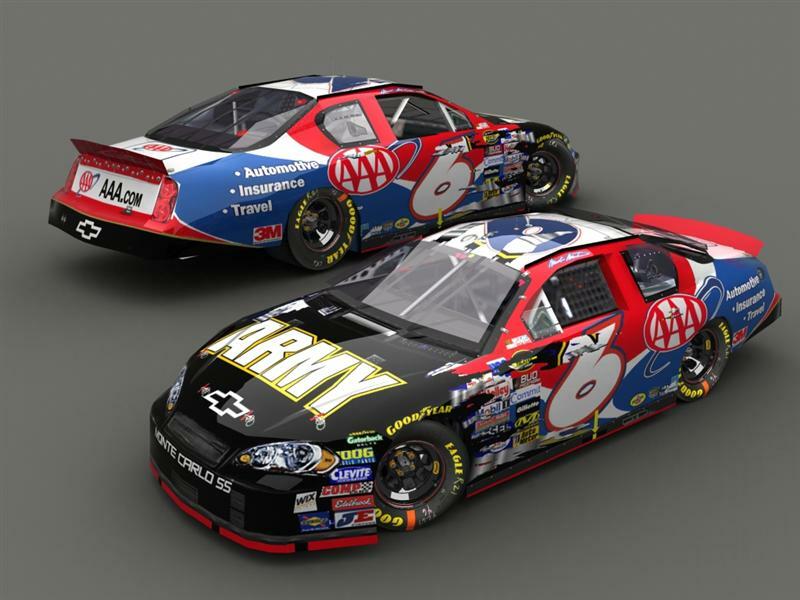 sweet, you should do martins valvoline 2000 car and the 2006 AAA car. The reason people are getting angry about this is fairly simple. Hes taking 2 cars that he didnt paint, putting them on a base that he didnt create and putting them up here. Anybody can go make these, just go to MRD and download the base then put whatever cars you want on it. I like it, but I would go old school Valvoline to US Army. Ford front endand Chevy rear, well graphics anyway. Cool first d/l. I like this car alot! Nice job.